The Sarah McLachlan biography explores the rise of a Canadian singer, songwriter, and musician who captivates worldwide audiences with her melodic voice and deeply personal lyrics. Known best for her haunting ballads, McLachlan is an award-winning recording artist who has continued to grow and explore new avenues for her music. 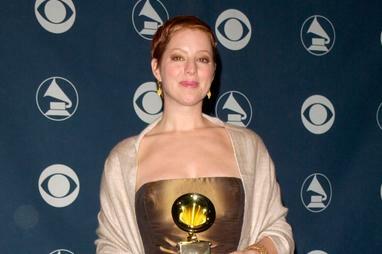 Sarah McLachlan was born on January 28, 1968, in Halifax, Nova Scotia, Canada. She was adopted as an infant and grew up in Halifax. When she was in high school, McLachlan fronted an informal rock band called The October Game, which played at local shows in schools and small venues, mostly opening for other bands. It was at one of these concerts that McLachlan was discovered by Nettwork, a Canadian recording label, and offered a recording contract on the spot. McLachlan was only 17 years old at the time, and at the urging of her parents, decided to postpone her recording career to finish school. Two years later, however, she headed out to Vancouver, British Columbia, and signed with Nettwork. Since 1988, McLachlan has released five full-length albums of original songs, as well as live albums and collections of cover songs, B-sides, and rarities. All of these were extremely successful in Canada, and eventually became best-sellers in other countries as well. McLachlan's rise to fame has been gradual, rather than her becoming an overnight sensation. McLachlan's first record was called Touch, and was released in 1988. Only one single, Vox, made it onto the charts. In 1991, the follow-up album Solace was released. The songs Into the Fire and Path of Thorns both received a great deal of air play on the radio, growing McLachlan's audience even further. These tracks won instant raves in Canada, but the album only caught on with the rest of the world over the next two years. By 1995, Possession was an international hit. The 1997 release Surfacing is McLachlan's best-selling record worldwide, and contains the singles Building a Mystery, Sweet Surrender, and Angel. The track Angel was written as a memorial to Smashing Pumpkins' touring keyboardist Jonathan Melvoin, who had died of a drug overdose in 1996. After a hiatus from the recording studio, McLachlan returned with Afterglow in 2003. The songs Fallen, Stupid, and World on Fire all hit the charts. The accompanying video for World on Fire was given a $150,000 budget for filming and production. McLachlan decided to create the video for a mere $15, the price of the handheld camera used to shoot it, and donated the rest of the money to a variety of charities, including Engineers Without Borders and Warchild. Wintersong, released in 2006, is a collection of both winter and holiday themed songs. On this album, McLachlan covers traditional holiday tunes such as Have Yourself a Merry Little Christmas, and Greensleeves. Also included are covers of well-known songs by Canadian artists Gordon Lightfoot (Song for a Winter's Night) and Joni Mitchell (River), and her own version of John Lennon's Happy X-Mas (War is Over). The Sarah McLachlan biography would not be complete without a look at her influence on women's music through the planning and development of Lilith Fair. Lilith Fair was a traveling music festival, founded by Sarah McLachlan, that featured female singers, bands, and musicians. The tour traveled across North America during the summers of 1997-1999, raising money for local and global women's charities. Lilith fair will return in 2010. Sarah McLachlan married her drummer, Ashwin Sood, in 1997. The couple had two daughters, India Ann Sushil, and Taja Summer, before separating in 2008.